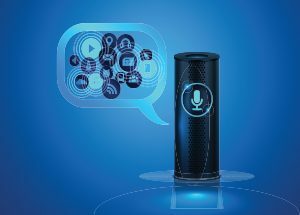 New research from Parks Associates shows that 28% of US broadband households own a smart speaker that features a voice assistant. Smart speaker ownership has nearly doubled since Q4 2017. Parks Associates will explore the impact of voice technology and the smart home landscape at the annual CONNECTIONS™ Summit: IoT and the Smart Home, set for January 8th 2019. 38% of consumers who own a smart speaker with voice-assist also own a smart thermostat. Voice control of smart products is a growing trend in the smart home industry. For more information on this report or the CONNECTIONS™ Summit, click here.